As with most cancers, early detection improves treatment outcomes for people with lung cancer. However, lung cancer often doesn't cause symptoms in the early stages and when it does, the symptoms may easily be confused with those for other conditions. Of course, a cough that doesn't go away should always prompt a visit to your doctor, but below are some of the lesser known signs and symptoms of lung cancer to pay attention to. 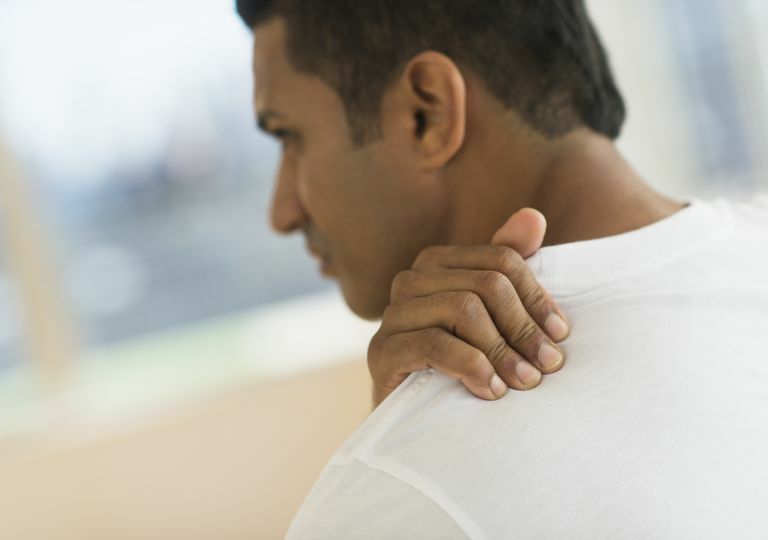 Pain in the shoulder or upper back is an often unnoticed lung cancer symptom. The pain can result from a number of different processes. For example, pain in the shoulder could be due to pressure from a tumor on the phrenic nerve within the lungs. It could also be related to the spread of lung cancer to bones near or in the shoulder joint. In addition, pancoast tumors, a type of lung cancer, tend to grow near the upper region of the lungs and can spread to tissues near the shoulder. Hoarseness, usually experienced by a person as an increased amount of effort used to produce a decreased volume of voice, is a relatively common sign of lung cancer, but can also result from various lung cancer treatments. Like other signs and symptoms of lung cancer, hoarseness can have many causes. For example, lung cancer tumor cells can block passageways leading hoarseness along with other symptoms. It can also result from tumors pressing on the recurrent laryngeal nerve. Tumors can often put pressure on blood vessels, not allowing fluids to travel as efficiently throughout the body. The fluids then build up, causing swelling of the face and neck. Superior vena cava syndrome (SVCS) refers to compression of one of the major veins that carry blood from the head, neck and upper chest region to the heart. Lung cancer, along with other types of cancers and masses, is a common cause of SVCS. In addition to swelling of the face and neck, people with this lung cancer symptom may notice difficulty breathing, shortness of breath, or coughing. People with lung cancer are at a higher risk for developing pneumonia—an infection of the lungs that can be caused by bacteria, viruses, or fungi—as well as other types of lung infections. That is because tumor cells can trap infectious agents, inhibiting the body's natural mechanisms for expelling them. While frequent bouts of pneumonia can be a sign of lung cancer, it can also delay diagnosis because the symptoms of both conditions overlap. Therefore, it is important to pay particular attention to lung infections that don't resolve with proper treatment, or return relatively soon after they get better. In up to 20 percent of lung cancer patients, symptoms may occur in parts of the body that have not been directly affected by cancer or cancer spread. These symptoms, or groups of symptoms, are known as paraneoplastic syndromes and are believed to be the result of various hormones, proteins, and other substances released by tumors. One of the most common paraneoplastic syndromes in lung cancer patients is the development of excess breast growth in men, known as gynecomastia. Often, this is one of the earlier signs of lung cancer, so all potential causes should be investigated as it could lead to early diagnosis. If you are experiencing the symptoms of lung cancer, please see your doctor. Keep in mind that these symptoms of lung cancer are also the symptoms of many other benign conditions. Are Your Lung Cancer Symptoms an Emergency?